Tube -Twintube FL, 9,5x15mm+7x12,7mm With 1 Product line 9,5x15mm and 1 Gas line 7x12,7mm. Tube -Twintube FL, 8x12,7mm+6,3x9,5mm With 1 Product line 8x12,7mm and 1 Gas line 6,3x9,5mm. Tube -Twintube FL, 7x12,7mm+6,3x9,5mm With 1 Product line 7x12,7mm and 1 Gas line 6,3x9,5mm. Tube -Twintube FL, 6,7x9,5mm+6,3x9,5mm With 1 Product line 6,7x9,5mm and 1 Gas line 6,3x9,5mm. Tube -BEVA, 7x12,7mm 1 Product line 7x12,7mm. Tube -Barrier XtraFlexmaster, 7mm x 1/2″ 1 Product line 7x12,7mm. Tube -BarrierFlexmaster, 8mm x 1/2″ 1 Product line 8x12,7mm. Tube -Barriermaster FL, 9,5mm x 1/2″ 1 Product line 3/8"x1/2" (9,5x12,7mm). Tube -Brewmaster2, 9,5mm x 1/2″ 1 Product line 3/8"x1/2" (9,5x12,7mm). Tube cooling -U-bend, 9,5x12,7mm - 7-1800mm U-bend Cooling tube 3/8"x1/2" (9,5x12,7mm). Tube -JG, 3/8″, natural 1 Product line 1/4"x3/8" (6,35x9,5mm). Tube -JG, 3/8″/M 1 Product line 1/4"x3/8" (6,35x9,5mm). Tube -Brewmaster, grey, 6,35mm x 3/8″ 1 Gas line 1/4"x3/8" (6,35x9,5mm). Tube -Barriermaster FL, 6,7mm x 3/8″ 1 Product line 6,7x9,5mm. Tube -Brewmaster2, 6,7mm x 3/8″ 1 Product line 6,7x9,5mm. Tube -Barriermaster FL, 3,3mm x 5/16″ 1 Product line 3,3x7,9mm. Tube -EVA, 3,5mm x 5/16″ 1 Product line 3,5x7,9mm. 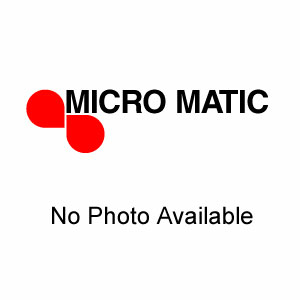 Tube -Barriermaster FL, 4mm x 5/16″ 1 Product line 4x7,9mm. Tube -Barriermaster FL, 4,7mm x 5/16″ 1 Product line 3/16"x5/16" (4,7x7,9mm). Tube -Brewmaster2, 3mm x 3/16″ 1 Product line for Beer 3x4,75mm. Tube -JG, 1/4″, natural 1 Product line 4,3x6,35mm. Tube -JG, 1/4″/M 1 Product line 4,3x6,35mm. Tube -gas, 6,35x11,5mm, braided 1 Gas line 6,3x11,5mm. Tube -BarrierFlexmaster, 9,5mm x 15mm 1 Product line 9,5x15mm. Tube -Brewmaster 2, 12x15mm 1 Product line 12x15mm. Tube -Pex, 15mm 1 Product line 15mm. Tube -BarrierFlexmaster, 16x22mm 1 Product line 16x22mm. Watertube -PVC, 1/2″ 1 Watertube 1/2" (12,7mm). Tube -BIB-tube, 3/8″x5/8″, 30m 1 Product line for Bag in Box 3/8"x5/8" (9,5x15,8mm).